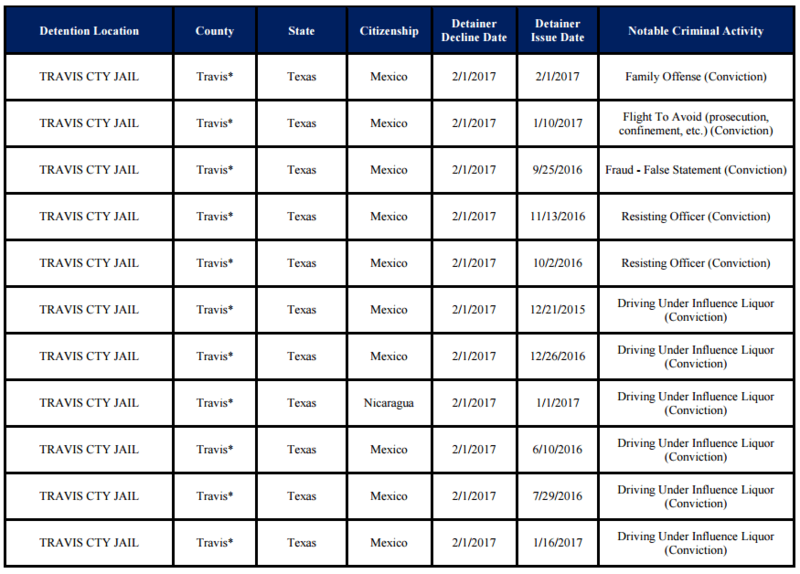 The numbers come from a report issued by U.S. Immigration and Customs Enforcement (ICE) officials on Monday that details the release of criminal aliens from local jails that refuse to honor immigration detainers issued by the agency. 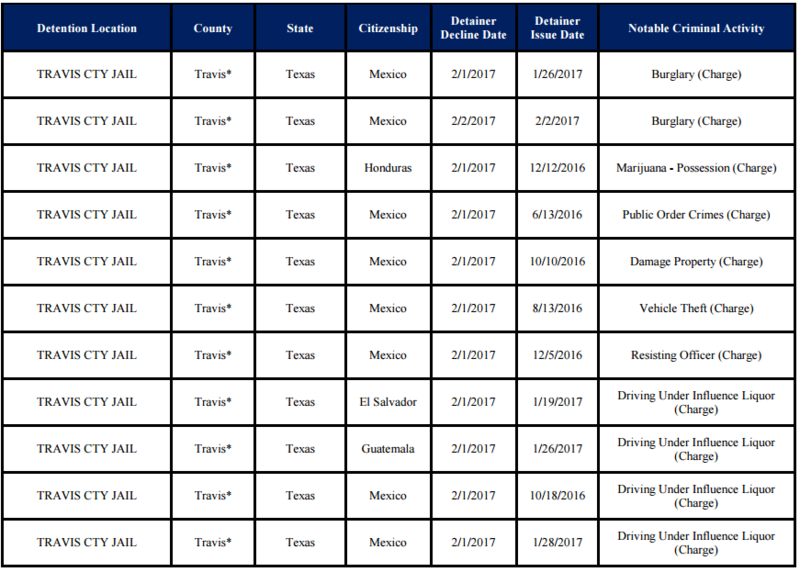 The report covers the period of January 28 to February 3, 2017. 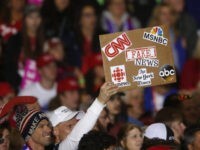 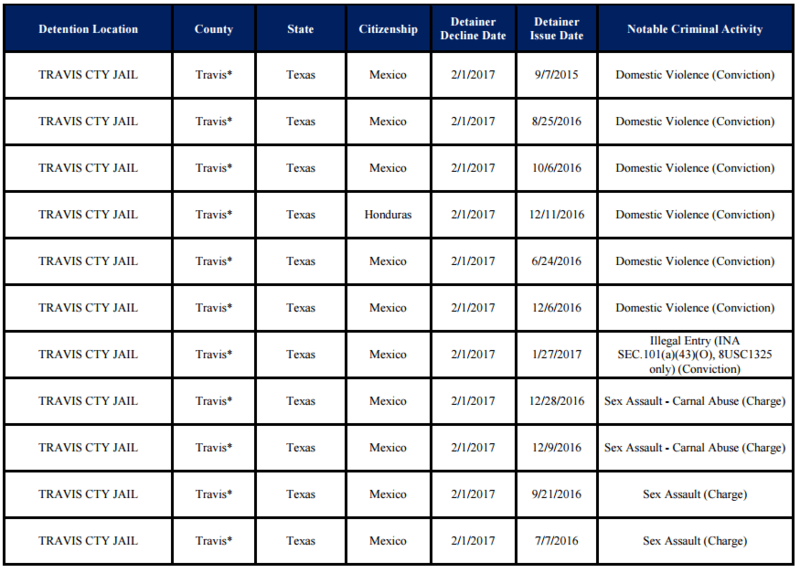 Officials reported that 206 criminally charged illegal aliens were released from the custody of jails after an immigration detainer had been issued. 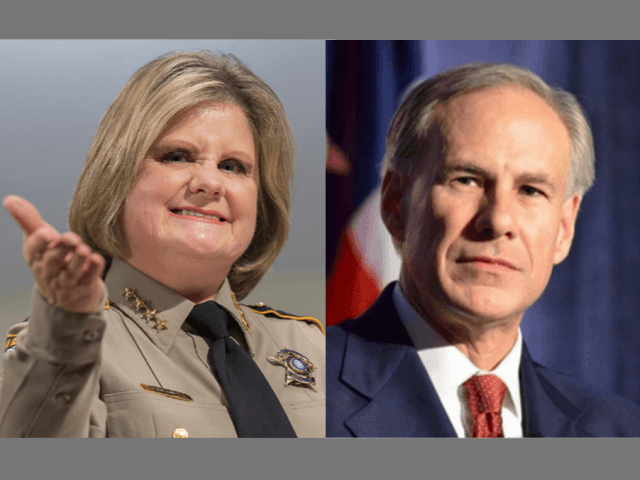 Of those, 142 came from Travis County Sheriff “Sanctuary Sally” Hernandez’ jail, Texas Governor Greg Abbott’s office reported in a statement obtained by Breitbart Texas. 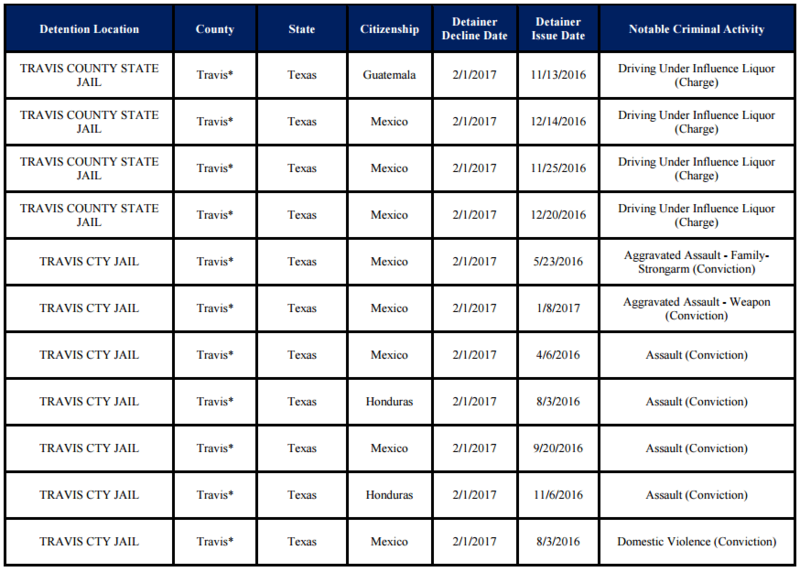 Over the weekend, Governor Abbott put pressure on the Texas House of Representatives to pass Senate Bill 4, a bill by State Senator Charles Perry (R-Lubbock) outlawing sanctuary jurisdictions in the state. 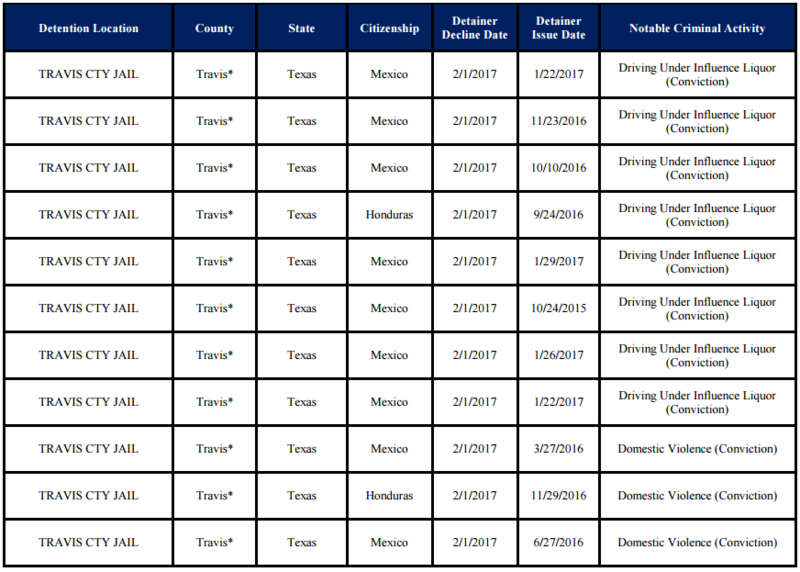 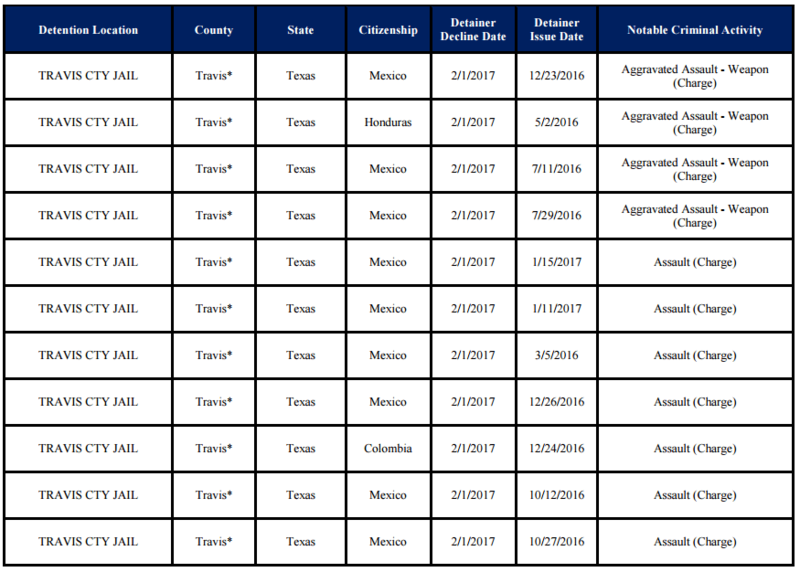 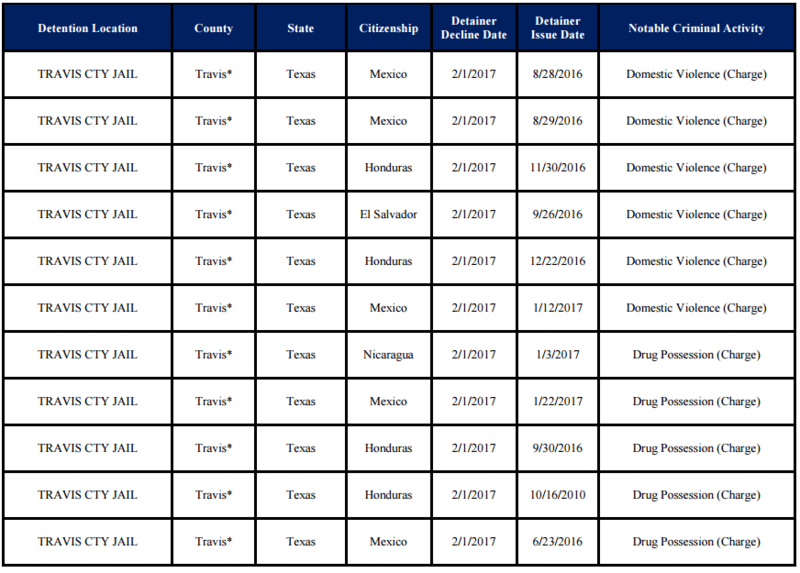 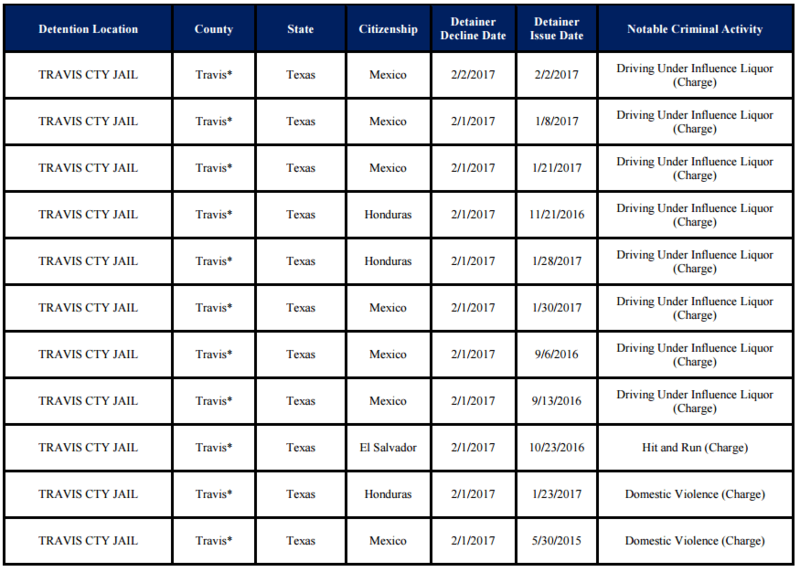 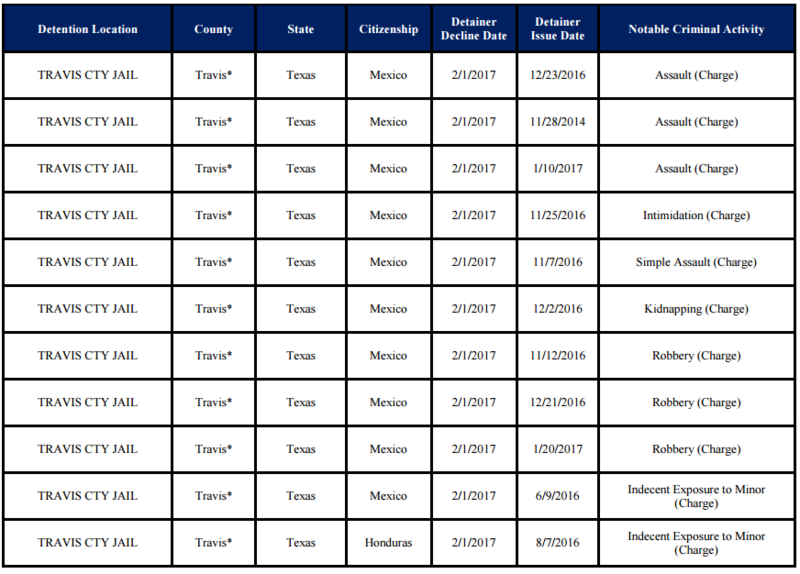 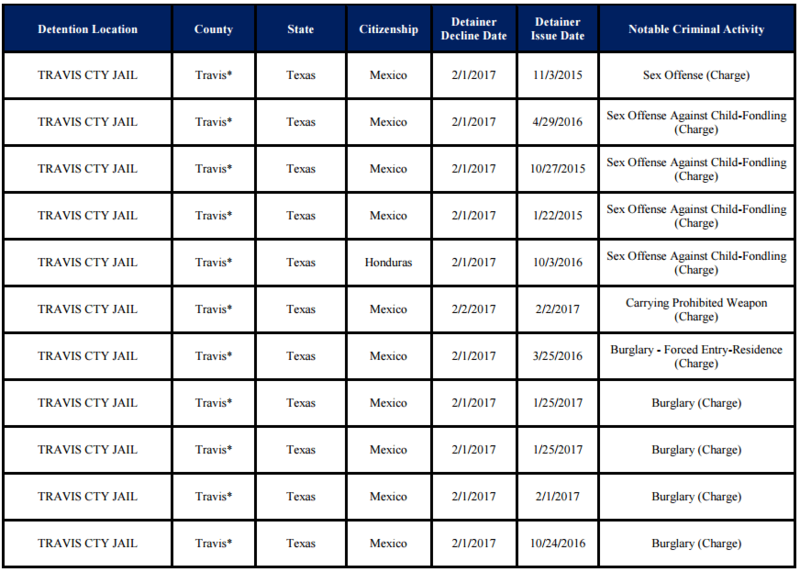 Many of those released by the Travis County Sheriff were charged with violent crimes that make the person ineligible to remain in the United States. 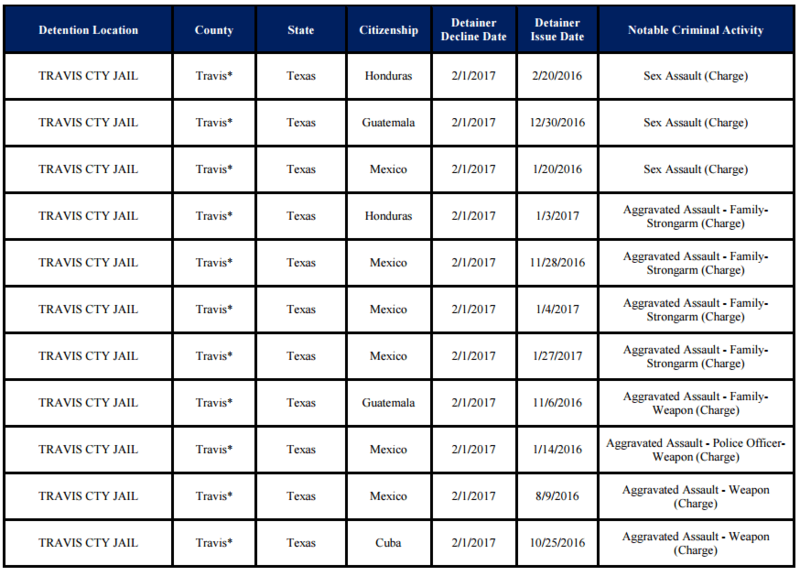 ICE officials issued detainers for these criminal aliens to prevent them from being released to the general public where they might commit future crimes. 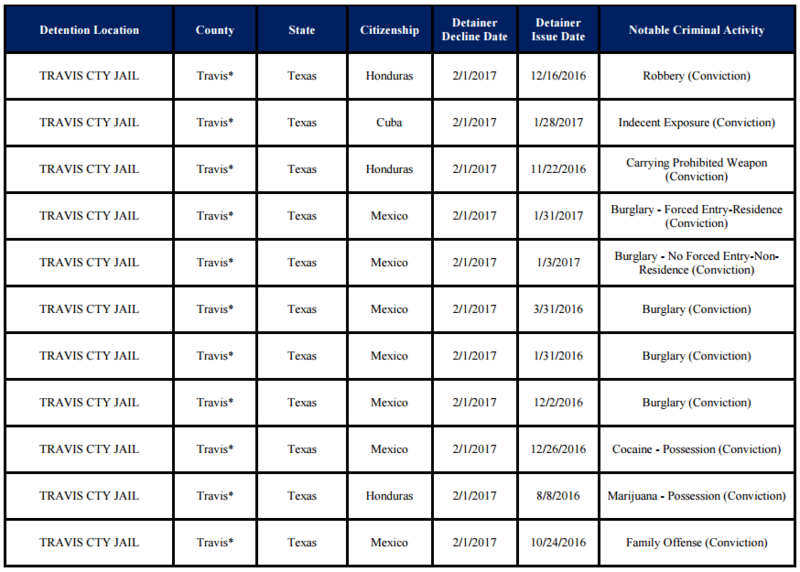 Below is the list of the individuals released by the Travis County jail. 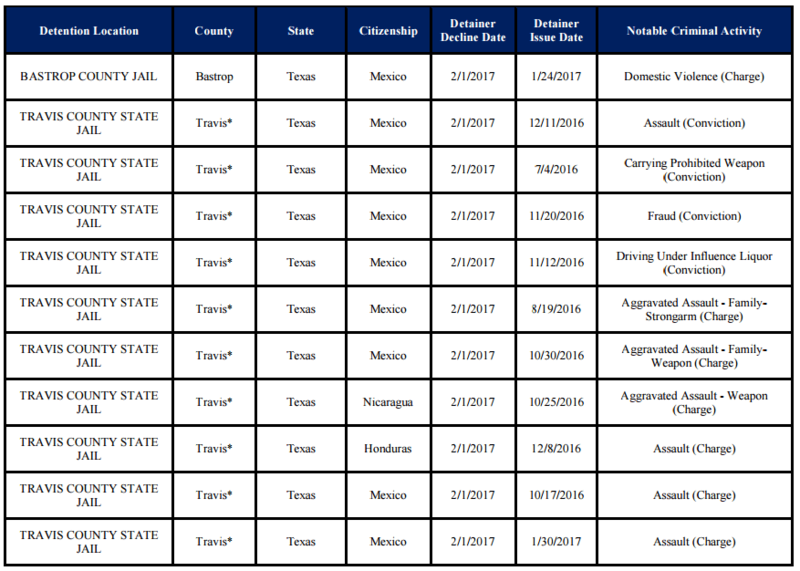 The first chart also includes those released by neighboring Bastrop County.